Library school students and new graduates are encouraged to launch their career in children’s librarianship with ALSC and ALA membership. ALSC will offer up to 100 memberships which can be used for networking, taking advantage of professional development, and career support. Applicants must be students in their final year before graduation or must have graduated in the last 12 months. Applications open Thursday, December 1, 2016. The application is non-competitive and memberships will be awarded on a rolling basis. Only children’s services-focused students in their last year before graduation and graduates up to one year after their graduation date from any ALA-accredited graduate school of library and information science (GSLIS) are eligible to apply. 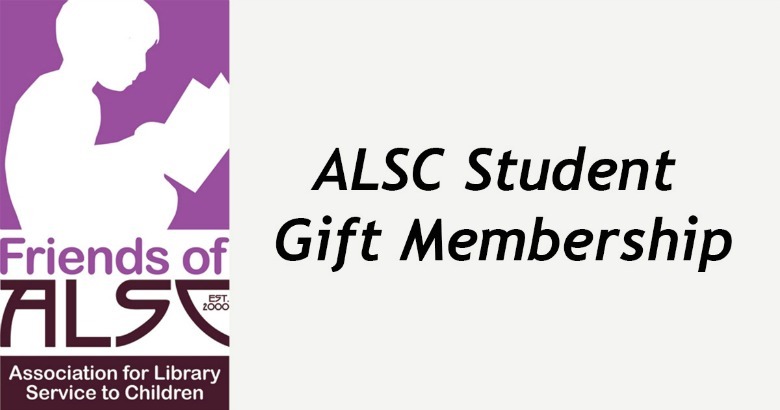 ALSC Student Gift Memberships are made possible by funding from Friends of ALSC.